Whether he’s out for dinner with his wife, walking down the street, or getting friendly advice from a fan, Shawn Thornton doesn’t have to be reminded of how compelling a Montreal-Boston playoff series is. For the 34th time, the Bruins and the Canadiens are facing off in the NHL post-season, bitter foes whose names are synonymous with Stanley Cup success. Prior to when the two Original Six rivals took to the ice for the start of their Eastern Conference semifinal series, Thornton, Boston’s tough-as-nails veteran, was well aware the hockey world would be dialed-in to the latest edition of the Habs versus the Bruins. It’s also a place where a Bruins supporter feels comfortable enough to dole out a tip or two heading into the matchup. What the Oshawa, Ontario native doesn’t like, however, is the thought of not sharing another Cup with his teammates. 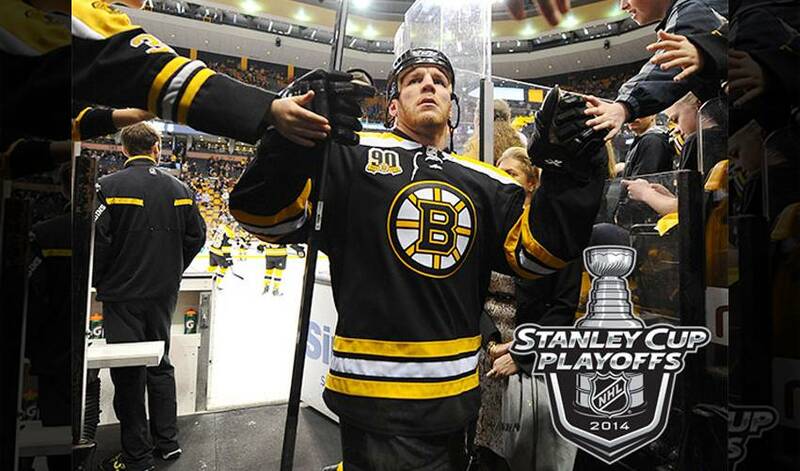 Thornton, who has skated in 95 NHL playoff games, knows it won’t be an easy task. But, the right-winger is confident in the group the Bruins (who finished first overall in the league) have. As for what he’s seeking to accomplish against the Canadiens, not surprisingly, Thornton will look to the physical side of his game to give Boston a boost. And maybe he’ll jot down the fan’s reminder to stay out of the penalty box? In this edition of My Top 5, Thornton, who skated in 105 playoff games, offers up the key ways a fourth-line player can make an impact in the postseason. Hundreds of hospital visits, an unwavering commitment to community and a foundation established in 2013 that bears his name – the 39-year-old is dedicated to making a difference in the lives of others.